The Onondaga Beverage Make-A-Wish Open and the Nelcorp Make-A-Wish Open are bringing all the excitement of a fantastic golf tournament to Central New York this June. When you carry your clubs onto the course at one of these golf tournaments, you are helping to benefit Make-A-Wish Central New York, granting wishes for local children with critical illnesses. So pack your clubs, tell your friends and go to one or both of these fun tournaments. 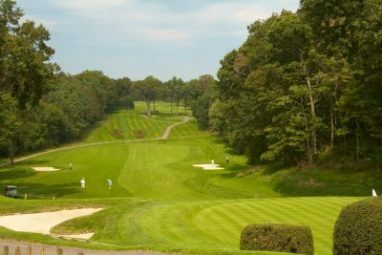 The Onondaga Beverage Make-A-Wish Open will take place at the gorgeous Timber Banks Golf Course—one of the premiere golf courses in Central New York. For $250, you can participate as an individual, or pay $1,000 for a foursome of golfers. Shotgun start is at 11:45 a.m. for this four-person scramble. Golfers can choose between a thrilling Captain Crew and a Team Best Ball format. Each wish in Central New York costs $12,000 on average, so every swing will count toward saying yes to a child with a critical illness​. Help sponsor the event, and register today! Traditions at the Glen is the beautiful, prestigious location for the Nelcorp Make-A-Wish open on June 13 starting fast at noon. For just $500, or $125 as an individual, your golfing foursome can tee off for a great cause. Make your way through the course with your group, and cap off the night with a delicious dinner. There are many sponsorship opportunities listed on the registration form if you wanted to go above and beyond for a local Central New York child! Tired Of Hitting Sand Traps? There Is Another Way To Help! Even if golf skills elude you, and you find yourself scoring more bogeys than birdies, you can still make a difference for local children and Make-A-Wish Central New York. You can give away your unwanted car, boat, motorcycle or RV to Wheels For Wishes which will benefit Make-A-Wish Central New York. Not only does it help local children, but donating a vehicle also saves you the time and money spent on selling a vehicle you don’t want or need that will be transformed into a wish for a local child. Meanwhile, you receive a great tax deduction. Wheels For Wishes is a 501(c)(3) nonprofit organization, making your generous donation is 100 percent tax deductible. To donate a vehicle to Wheels For Wishes and make a wish come true, please call us at 1-877-431-9474, or fill out our easy online vehicle donation form. You will never expect what an unwanted vehicle can do for a child!